Understand the cost of borrowing money over long periods of time. Borrowing money over a long period of time increases the total amount that you pay. That is because of the interest rate that you have to pay on the loan. We looked at borrowing money over long periods of time when we worked on our budget project. An example is buying a car. You have an interest rate that is added to the cost of the vehicle. The means you end up paying more then the original price of the vehicle. The longer you take to pay off the vehicle, the more money in the long run you are paying. Understand different financial investments, such as mutual funds, stocks and bonds. During economics, we have the opportunity to play a stock market game on Market Watch. This helped us learn the purpose of the stock market without us having to invest real money. This also helped us understand how stocks work and how someone should and shouldn't invest their money into the stock market. We also learned about the different companies and experts that can invest your money for you. Understand the role of personal taxes in society. Personal taxes have an important in society today. The taxes we pay are set up to fund retirement, social security, welfare, and many other things. The increase of taxes allow our society to move forward and allow for a higher quality of living for the people in the United States. 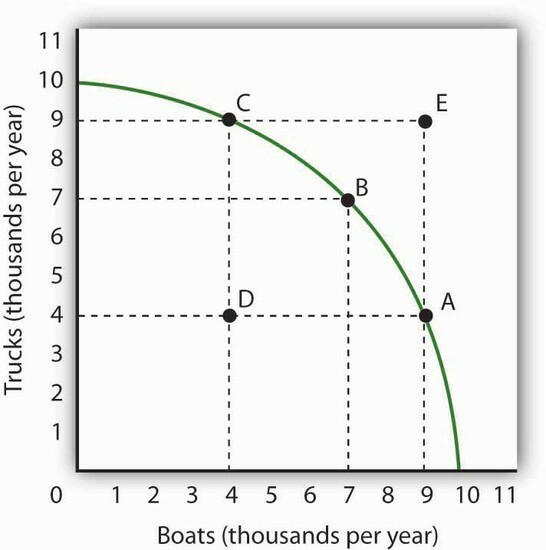 This production possibilities curve shows how boats and trucks are related to one another. If I make a large amount of boats, then I only have enough resources to make a small amount of trucks. If I make a large amount of trucks, then I only have enough resources to make a small amount of boats. This is okay, as long as I am only using the resources I have. The curve shows the optimal amount of each I can make compared to the other. If I make 4,000 boats and 4,000 trucks, I am not using all of my resources therefore not making as much money as I could be. If I try to make 9,000 boats and 9,000 trucks, I will not enough resources to satisfy this. The amount I can make of each needs to be along the curve, that way I am making the most profit possible. Understand the concepts of marginal benefit and marginal cost in connection to economic actions. 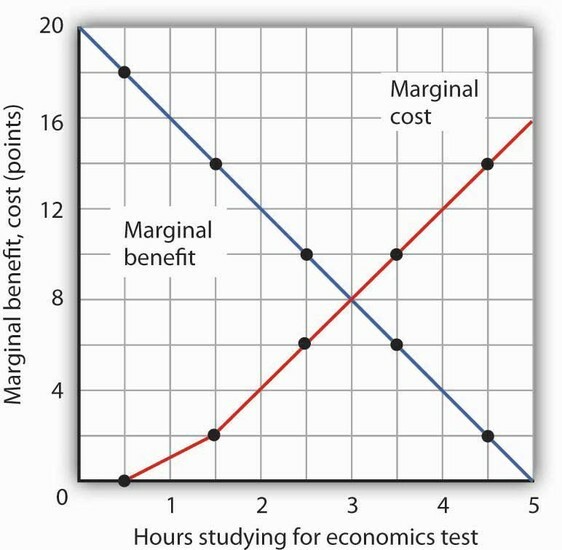 This graph below shows the relationship between marginal benefit and marginal cost when studying for an economic test. This graph shows that there is a benefit from studying more, but the cost of studying is losing time to do other things. The point where the benefit and cost meet on the graph shows the ideal trade-off spot. Understand the impact of increases in wages or a change in government policy (new taxes, interest rate, subsidies) on consumers, producers, workers, savers and investors. We were asked to create our on restaurant idea for the new school. Most of the prices for food and drink were fairly cheap, because workers would be volunteering their time. If the restaurant had to pay staff and account for government regulated wages the menu prices would have increased. This would probably lead to the restaurant selling less product meaning it could only afford a few worker, that would get paid less money. Savers or investors that put money into the restaurant could lessen the amount of money they put into the restaurant because they wouldn't be making as much money. Understand the role of nonprofit organizations. For our budget project, we were asked if we would donate money and if so to which charities. For me, I plan to donate not only money but also my time when I am older. Nonprofit organizations are there to impact the families of the community. This allows for an increase in the economy, as those families can now participate. There are also charities that donate medical supplies, which allows for safer and better living conditions. Understand the composition of the money supply. This graph is a supply and demand curve that shows the relationship between money and interest rates. It shows that their will always be a supply of money. 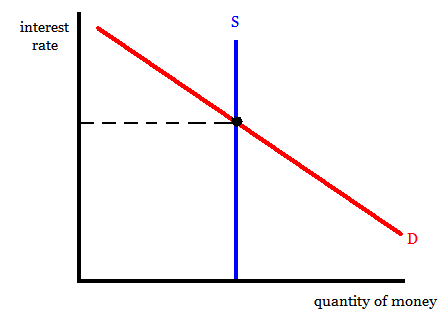 This supply and demand curve demonstrates that as interest rates are high, the quantity of money is low. As the interest rates are low, the quantity of money is high. Understand that economic institutions have different goals, rules, and constraints. As a part of the restaurant project, each group had to decide on profit goals and how the money would be used to benefit the school. Each group had a different set of goals and amount of profit, as well as different obstacles. For my group, we had the obstacle of making soup that tasted good but didn't cost a lot per bowl for the consumer. Other group's constraints could have been different, based on what they were planning to sell. Understand the economic trade–offs of government assistance programs. Government assistance programs are programs run by the government that aid people who are financially unstable, unemployed, have multiple children, or dependents that they cannot afford to live alone. These programs are there to help those in need achieve a normal and successful life. These programs cost millions of dollars to fund, which means that money can not be used on other things. The trade-off to these programs is having money for these in need people instead of for education or the military. Understand changes in spending and taxation affect national deficits, surpluses, and debt. When there is changes in spending and taxes, there is an affect national deficits, surpluses, and debt. This is because of the fluctuating amount of money moving throughout our economy. This means that at times when markets are doing bad, there will be a shortage of money in the economy. When markets are doing well the will be a surplus of money flowing though our economy. This correlates to changes in national deficits when the economy is low. Understand the role of the Federal Reserve. 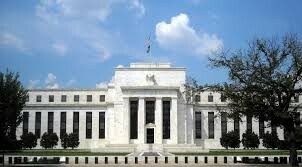 The central bank of the United States of America is the Federal Reserve. The United States's money is stored here. The bank in the game Monopoly is similar to the Federal Reserve. The bank in the game provides money to the players when they are purchasing properties or homes and hotels. The reason the Federal Reserve is important is because it is the way that money is monitored.This allows companies to set prices and interest rates on products based on the amount of money in the Federal Reserve. Understand major world economic systems. There are four main economic systems in the world and they are traditional, command, market and mixed economies. A traditional economy has no government involvement because producers and consumers work off of a trade or barter system. A command economic system is the opposite to a traditional system as there is total government control of the economy. A market economy requires some government regulation but the government does not control the goods or services that are sold. A mixed economic system is a combination of the command and market economies. This means that the government has some control of the market but most of the products sold are controlled by the producer. Understand economic self–interest influences economic decisions. Economic self-interest influence economic decisions, because it is the reason consumers or companies purchase goods. An example would be that a store needs a new cash register, they would buy one because it is providing it's employees with a tool to help them do their job. The supply and demand graph shows that when supply goes up, the demand goes down. There is a point on the graph where the two will cross, this is the equilibrium price. This is the point that satisfies both the supplies and consumer. The producer is making a profit and the consumer is happy with the price of the product. Understand government subsidies to industries and the effect on global trade. Government subsidies consist of large sums of money given to large businesses or large farms. The effect of this is that small family farms do not receive the same funding as large farms, which can run them out of business. The subsides allow global trade as it pushes for America to have more goods to trade to various countries. This in turn allows for more profit, which leads to more subsidies being given out. Understand the costs and benefits of free trade among countries. Free trade among countries is a huge benefit because countries are able to get products that they cannot produce from other countries. The cost of this trade is that the country with the products will not have as many of said products. But they will have other products/money that they traded for. I think that the benefits outweigh the cost, as this is also a way for countries to keep good relations. Understand the difference between domestic and global economic systems and how the two interact. The main difference between domestic and global economic system is dependent on the type of system that nation has. It is is dependent on the amount of control the government has over the economy. The global and domestic economies interact by the use of outsourcing jobs and trade. An example is the company Nike. Most of the products that Nike sells are not made in the United States. Nike outsources jobs to other countries. Understand the role of technologies that interlock the global economy. 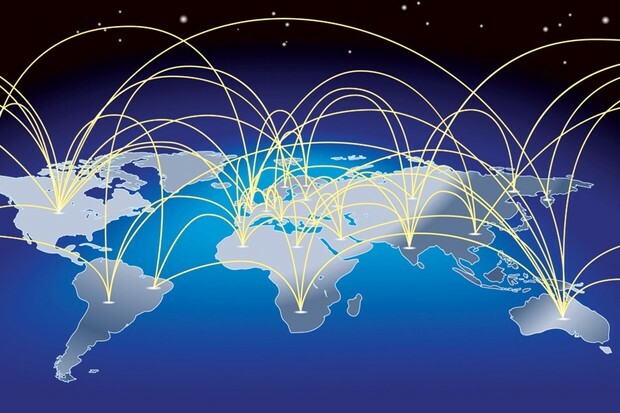 There are multiple technologies that help keep the global economy interlocked. The main form of technology is the internet. You can go on the internet and purchase any product from any country and have it shipped to your house. Amazon is a good example of this form of technology. The website allows consumers to purchase goods from any country, and producers can sell their items to people all over the world. Understand the role of investment and government support in advancing technologies. The role of investments are important for technologies. Technologies can push for governments to invest money into companies. This allows the companies to better their products and technologies as they want more investors. As the qualities of the product goes up, the company tends to make more money leading to their stocks costing more. This reaction continues and results in advanced technologies each year. We learned about this concept when we did the stock market game. We would invest money into companies that we thought would do well. I personally invested in Apple as their technology is always improving. Understand the impact of green technologies in the global economy. 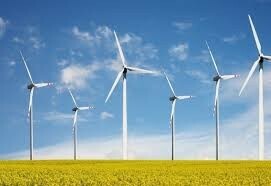 Green technologies impact the global economy. This is because we are saving money when we use wind power, geothermal heating, or solar energy. We would have more money to spend on other items. This effects the global economy because it would end up in each person having more funds and pushes the economy upwards. It also creates more jobs for people, leading to more money being put back into the economy.